Financing for gas stations is available in several forms. The easiest loans to obtain for gas stations and convenience stores are ones backed by the Small Business Administration (SBA). Gas station loans come with many challenges including potential environmental factors and appraisal valuations. With SBA 7(a) and SBA 504 loans, it is possible to include funding in the loan to remediate environmental issues or to address appraisal problems. Financing gas stations in Atlanta, GA, Phoenix, AZ, or any other state in the nation is a straightforward process with Dividend America. 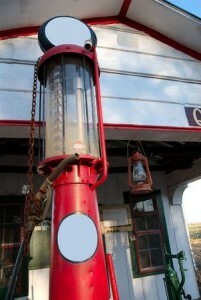 We provide loans for gas station refinancing, purchase, or for station upgrades. » Low costs and -0- due diligence fees! Consolidate small loans and leases with a larger loan and obtain cash for continuing operations. This gas station loan can save thousands of dollars per year and increase valuable cash flow. Let us show you what a gas station refinance loan can do for your bottom line. Is it time for new pumps, a new canopy, better shelving or a total makeover for your property? This gas station loan is all the financing you need to add a car wash, upgrade pumps or purchase better coolers making your gas station run more efficiently and make more money! Buying a gas station has never been easier. Whether you intend to purchase a gas station in Atlanta, GA; Phoenix, AZ or any other city in the USA, the experts at Dividend America can help by providing expert advice, exceptional service and no due diligence fees!